As I recently cut my hair about 3 1/2 inches, I have a lot less real estate to work with when it comes to washing, drying, brushing, and… styling. Luckily for me, this also means I can curl my hair fairly quickly and much more often. Basically when I’m feeling like giving my hair some extra “oompf” I reach for my Hot Tools Curling Iron to give it the volume it wants, along with some wavy curls. Now I’ve got one of those types of hair where a curl is not going to hold longer than an hour. Yeah…my hair is that straight. Therefore, a curled look ends up looking wavy after a few hours; which I am completely okay with. 1. 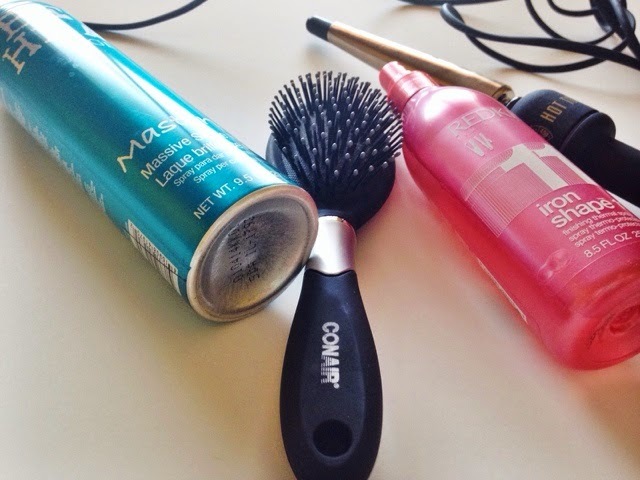 Brush until each strand is smooth and detangled. 2. Spray thermal product several times in chosen area and use the brush/hands to distribute the product effectively. Side-note: Don’t drench your hair in product or it will have the opposite effect. 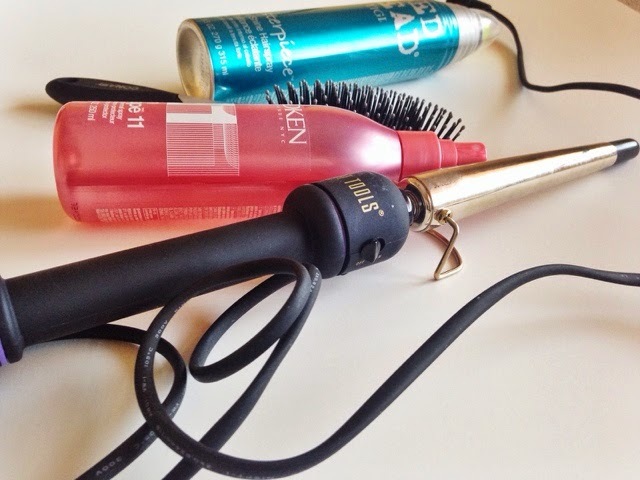 If you use too much, you will hear the sizzle of your curling iron as it burns your hair. You don’t want that! 4. Do a quick run-through with fingers throughout the hair. If I find one area that looks super straight and not tended to, I grab some hair there and make sure to curl it and give it a bit of fluff. 5. 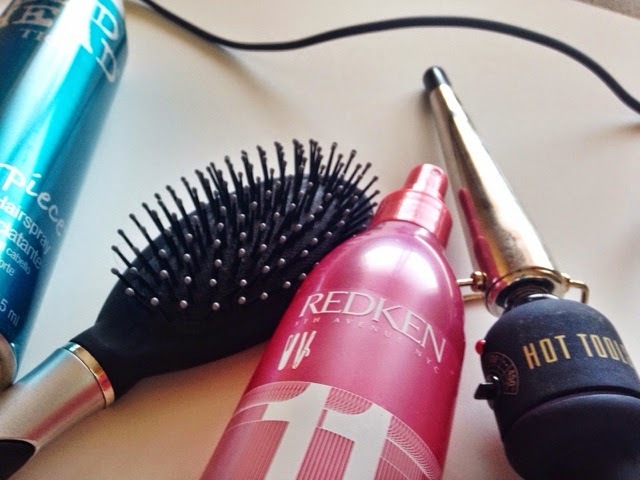 Once all that is complete, I spray some hairspray throughout to ensure the curl (or waviness in my case) holds all day. I’ve found this Bed Head hairspray holds the style for days at a time. 6. Now for the most important step, flip your hair a few times & start feeling like the beauty you are! That’s it for my quick routine. 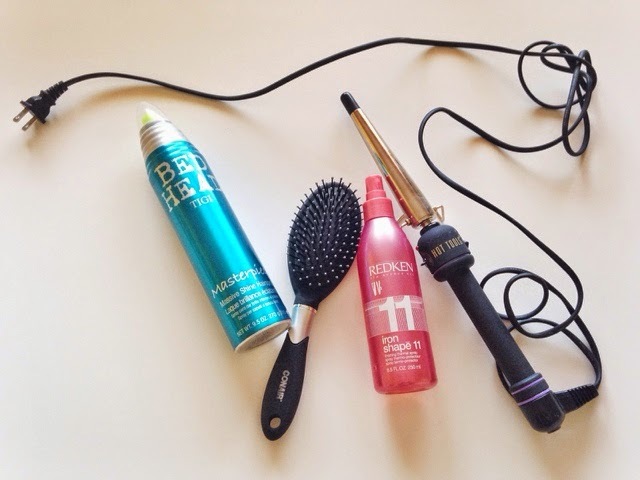 What products do you use to curl your hair?